It's that dreaded time of year where sickness is all around us. Cold and flu season is no joke and it's mandatory that you do whatever you can to protect yourself from sickness. In the colder months of the year I seem to always have a sore throat and cold without fail. I'm always researching home remedies to cure that pesky sore throat. Wouldn't it be nice to skip the sickness this year and feel great instead? Go Gargle soothes and moisturizes a sore throat like no other. Go ahead and drop a tablet in a glass of warm water, let it dissolve, then gargle your sore throat away. Most sprays or drops just mask the pain, but the healing power of salt featured in Go Gargle works to reduce inflammation. The honey, aloe, and chamomile soothe throat tissue and provide long lasting relief. Did you know that each year over 15 million people visit a doctor for a sore throat? Don't let that statistic include you this year. Keep Go Gargle with you anytime your throat needs some attention. Your medicine cabinet will be thrilled to meet its newest family member. There's nothing quite like the pain from a sore throat. When your throat feels like it's on fire and you have difficulty swallowing, all you can do is hope for instant relief. Cold water or ice cream can provide some relief, but it's only temporary. You need to get to the root of the sore throat and kick it to the curb. When I had the opportunity to try Go Gargle, I knew it was something that I couldn't pass up. Conveniently when it came in the mail yesterday, I was suffering from a sore throat. The timing of the package's arrival couldn't have been better. I was very excited to try the product and hopefully receive some much needed relief. I dropped a tablet in a glass of warm water as instructed and watched the fizzy action that followed. The fizz was the key component in reducing the inflammation in my throat and I was thrilled to see it. The tablet provided a minty flavor which was pleasant, but not overly strong at all. Once I gargled, my throat instantly felt moisturized thanks to the honey, chamomile, mint, and aloe. Not long after I felt so much better and couldn't believe how quickly the product worked. I was impressed and wondered why this product hadn't been in my life all along. Gargling is a time tested remedy that truly works, but people turn to medicines instead because they think they will work better. I'm guilty of this as well but will not depend on sore throat medicines any longer. Go Gargle now has a special place in my bathroom cabinet for anytime my husband and I might need it. The tube of Go Gargle contains 10 tablets that you can throw in your purse for work or school, or in your carry on bag for traveling. The convenient tube is small enough to be taken virtually anywhere you need it. Any time I have a sore throat in the future, you can guarantee I'll be turning to Go Gargle. If you want to make your throat smile, it's time to introduce Go Gargle to it. I want to win this because I shop at CVS frequently and would like to try the product next time I'm feeling under the weather. 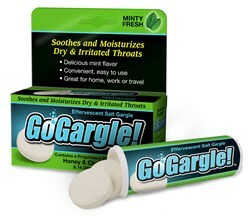 I have never heard of Go Gargle before today but sounds like the perfect product for winter! I would love to win this for my mom because she has a chronic cough from an irritated throat and no doctor can figure out how to stop it. She has been to specialists and nothing. I know she would love to try something like this to see if it could help her! Oh I would love to try the Go Gargle! We wake up alot with dry throats during the cold winter months, this would be so helpful for the mornings! I'd love to win for the CVS card. There's one next to my parking lot, so I'm in there all the time! I have used salt water gargles sometimes at home but I think I put to much salt in it and it gagged me. I like that I can gargle and get rid of the stuff in my throat and not swallow it down and it doesn't hurt with my other medications. Anything that can help with a sore throat, is something that I am willing to try. I'd like to win this product for when we get a sore throat. The gift card is great too since we shop a lot at CVS. I haven't yet tried this product, and I'm very interested in it. It is something I could see using daily, even morning then evening! I'd like to win b/c I get a ton of sore throats in the winter and am always looking for ways to minimize their impact. I'd like to win because my family and I get sore throats and this products sounds like a great way to soothe them. My daughter has horrible allergies. We would love to try this. She always has a sore throat and is constantly seeking homeopathic remedies. I want to try this product for my sore throat, it get worse especially in winter. This would be great to have on hand as it seems someone always has a sore throat. Be great for when I am fighting a cold. Whenever I get a cold, I get a sore throat. I would love to try this to see if it eases my symptoms. We could use this for the sore throats over the winter. I like that it has different flavors like mint. These are so convenient and you would always have the right amount of salt for your gargle solution. I wanna win because I do gargle when I have a sore throat. I'd like to win because it sounds like a unique product and I would like to try it since it seems like I always have a sore throat. I would love to win because I want to be prepared for this cold and flu season. I am sure I will need this in the next month or two. I want to tin because this sounds like it really works. I gargle with warm salt water when I have a sore throat, but this has such other nice ingredients to help! I want to win because I love CVS and hate to gargle. I want to win because I would love to try GoGargle. I would like to win this as i always wake up with a dry and raspy throat in the mornings. The winters are harsh here and the wood stove creates a lot of dry air in the house. I am constantly clearing my throat. I would like to have something on hand to deal with sore throats when they happen. GoGargle sounds like just the ticket for when I have a cold or sore throat. Go Gargle helps with allergies too! 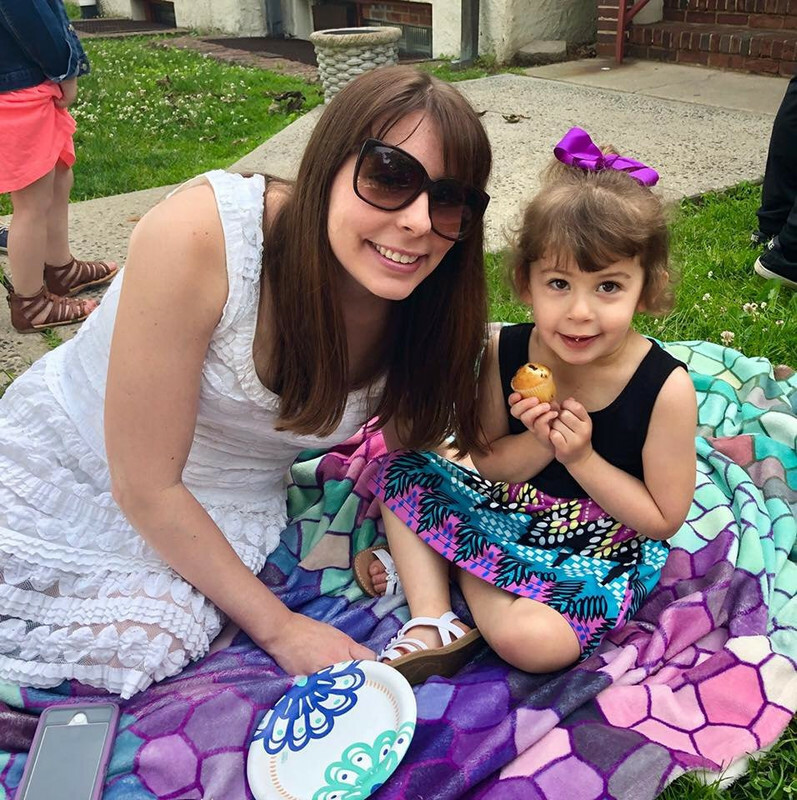 My daughter and husband suffer from them and Go Gargle has helped a lot. I like that it's 100% natural! I'd love to win this because I'd like to try these. Go Gargle sounds like the perfect way help fight sore throats during the cold season. Thanks for writing this very informative review. Sounds like a convenient way to use honey and chamomile -- two things I love for a sore throat. I have tried Gargles before but can never get past the after taste. Love that Go Gargle has a mint flavor. this would be great for when im sick! I'd like to win this product to soothe my sore throats. I want to try it because I always get a sore throat during the winter months. I always like having different things in the house for colds/aches/pains. They always come in handy when needed. I would love to win this because I often get sore throats during the winter months and this just might help. I'd like to try it to see if it really tastes better that regular salt water. I want to try this because I always get sore throats in the winter and I want to see if this will help. I get sore throats and I am always looking for new products to try. I also love cvs and could use the gift card! I wake up with a dry throat EVERY morning and I love CVS. I love the fact that this product reduces inflammation and soothes the throat. I would love to win this to get thru the winter. I would like to try go gargle for when I catch those nasty winter colds. Because I have horrible sinuses! I would like to win this so I could try Go gargle and see if it helps with my dry throat. Our furnace is right next to our bedroom so it makes the air really dry in there and I'm always waking up with a sore, dry throat. I would like to win because I always like to try different products when I am sick, to help me feel better. I haven't tried this product yet but I would like to try it when I have a sore throat. This would be great to have on hand as it seems someone in my family always has a sore throat. I would like to try this product because I live in a cold area right now and i tend get a dry cough that leads to a sore throat. I'm just getting over a cold and want to try this for my sore throat. It's that time of the year, and would be handy to have the product around the house. I have endless allergies, and have endless unglamorous gunk in the back of my throat. I've never tried this product, but hey--why not? I'd love a little relief. I would like to win this product as because of my allergies I always have a sore throat especially this time of year with the dryness. . I use lozenges and gargle with salt water but nothing seems to help. I'd like to try this when I have a sore throat.